Native Waters on Arid Lands project seeks to build capacity among tribal communities in the Great Basin and American Southwest to enhance climate resiliency of water resources and agriculture. 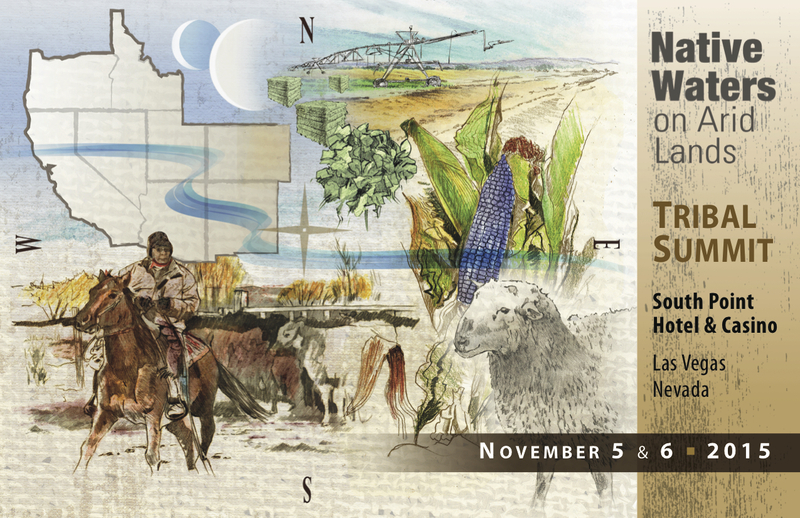 For more information on the Tribal Summit, view the Tribal Summit Program and Agenda. ROOM BLOCK IS NOW FULL. Check back soon for a list of nearby hotels. • Breakfast, breaks and lunch for Thursday and Friday. • All handout material needed for sessions. If paying by check, registration may be completed by U.S. Mail. Please use this Registration Form, which must be printed and mailed to be received by October 2, 2015. Registration check-in will be available from 3-5pm at the South Point Casino and Hotel on Wednesday, November 4, 2015. Registration will continue on Thursday November 5, 2015 from 8-11 a.m.